You can be You can be a customer and subscribe to the RYZE.Ai currency trading system and earn trading profits in your account each week. See my articles on RYZE.Ai performance. You can register for a free lifetime TripSpin Snap account and save a fortune on hotels, resorts, cruises, rental cars, theme parks and airline tickets. See my blog at goTripSpin.com for lots of specials. 3. You can register as a full Hodo Global partner, receive all of the above plus have the ability to offer the services above to other people. Check out my blog here. HODO has developed the innovative RYZE.AI for Forex trading, and TripSpin for the travel industry. These two are two of the top traded industries each year amounting to tens of trillions of dollars. In addition to making profits with these innovative technologies, HODO subscribers can introduce other consumers to these products and enjoy more benefits in various types of compensation. Today information is power. What if you had a platform where you could profit from some of the largest industries in the world and lived the life that you wanted? 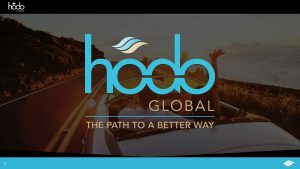 Working fewer hours, travelling and making money while you sleep is what HODO Global was developed to provide. Click here or on the image above for overview videos. TripSpin, from Hodo Global, is a powerful search engine platform for travel and tourism packages. It goes deeper than the typical travel websites that rely on data from the two main providers of data; Priceline and Expedia. Tripspin is an innovative technology that enables its users to find the best offers in travel and offers an opportunity to make money by introducing the technology to other lovers of travel. It is from HODO Global, a lifestyle innovations company with innovative products including Tripspin and RYZE.Ai. Check out my TripSpin blog! Anyone who lives in one of these new countries and is interested in learning how to make trading profits with the RYZE,Ai currency trading artificial intelligence algorithm from Hodo Global should register with Hodo global today. You owe it to yourself to check this out because a couple hours of your time watching the videos, calling me and registering could alter your financial future for the better. Anyone who has ever been interested in profiting from currency trading and wants to see their brokerage account balance increase weekly from trading in the largest market in the world (the Forex market), owes it to themselves to find out more about RYZE.Ai and how it can benefit them. Now is the time to start using artificial intelligence programs to grow your wealth. Anyone who has ever asked themselves, “Can I make money with RYZE,Ai?” or “How can I make money trading currencies?”, should watch the videos and get started. Do you wish you could realize currency trading profits using an automated system (RYZE.Ai) and utilizing trading strategies that are usually out of reach for anyone except large banks and hedge funds, should attend. Also, if you have ever asked yourself, “How can I make money online?”, then watch the RYZE.Ai videos and find out how it can benefit you. You really owe it to yourself and your financial future to watch and check it out. This is a great time because these countries are just launching. The Ryze.Ai Trading Algorithm executes trades in the Currency and Commodities markets for subscribers. The RYZE.Ai software algorithm executes a unique and proprietary trading strategy which positions trades as a bridge liquidity provider. By acting as a bridge liquidity provider RYZE.Ai removes speculation from the trades and makes the program a safe and sound investment tool instead of a speculative one. 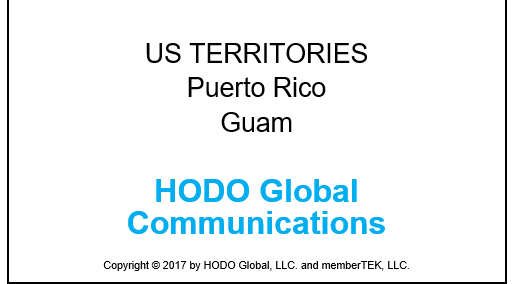 Hodo Global and the TripSpin and RYZE.Ai technologies are now available in ten new countries. Please think about if this is the time for you to get started too. Anyone who has questions, please contact me at xin@goTripSpin.com, otherwise watch the videos or give me a call and we can talk and you can see for yourself. This entry was posted in Event Invitation and tagged goTripSpin, Hodo Global, Ryze.ai, TripSpin Cruise, TripSpin SNAP, Xin Zhang on June 15, 2017 by Xin Zhang. Hey, I just wanted to thank you for sharing these services! I’ve spent a bit of time to sign up with all of them because as I saw, I can save a lot of money on my travels with TripSpin (which is my most liked from the bunch), use RYZE.Ai for some automated trading software (I had no idea there was an AI that does this – scary and also cool), and signing up to Hodo could bring benefits along the way so why not? It is great that you have decided to take advantage of the TripSpin travel service and the RYZE.Ai service as well. You can stay up on the latest travel ideas on my travel blog. I post blogs about my travels as well as other places that I have been or plan to visit. By using the free TripSpin Snap website I provide, you will save over the major travel sites about 70% of the time. Sometimes the savings are smaller and sometimes they are huge as I wrote about in a blog on a transatlantic cruise. You can also check out my YouTube video on this cruise at https://youtu.be/38LLlGVxlNk. As far as RYZE.Ai is concerned it is a great set it and forget it automated trading program that has made me very happy with its performance. 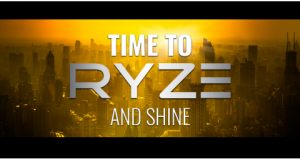 You can stay tuned to my RYZE.Ai performance blog at http://goRYZE.com. If you have any questions or need help using the services now that you are signed up, please let me know.